A number of ex-Twins signed minor league deals in recent days. * Logan Forsythe is now in camp with the Texas Rangers. Off what we saw during his 50 games with the Twins last year after they got him in the Brian Dozier trade, it might seem surprising that he had to settle for a minor league deal -- he was solid defensively, with a noticably better arm than Dozier, and had a .356 OBP, which would look mightly good on this squad. But he had little power -- six extra base hits in those 178 at-bats with the Twins, all doubles -- and hasn't really hit for two seasons. Plus he's 32. So, yeah, he's not somebody you sign with the intent of sticking him in the lineup. * Trevor Plouffe re-upped with the Phillies. The former first-rounder, also 32, got 12 at-bats last summer for the Phils and spent most of the season in Triple A. I don't know that the Phillies are thilled with Maikel Franco at third base, but I also know that Plouffe isn't a superior alternative. I'll give Plouffe credit for perserverance, though. The man has made, per Baseball Reference, more than $22 million in his major league career. Presumably he doesn't have to take life in the minors for the income. * Francisco Liriano returned to the Pirates on a minor league deal. Pittsburgh is where "Frankie Franchise" turned himself around about six years ago. In 2013-2015 he racked up a 3.26 ERA in 510 innings. Not a workhorse, top-of-the-rotation guy, but a really good rotation piece. But things went sour for him in 2016 and the Pirates unloaded his contract on the Blue Jays, and he's been bouncing around since. If he has a major league future, it's probably as a reliever. The Tigers had him in their rotation last year, and there wasn't a lot to like in his numbers. And he's 35 now, which seems kind of impossible. A minor-league deal seems right for him at this point. The head-scratcher is his tale of not getting any offers at all -- and then seven, all pretty much identical, arrived on the same day. It's not collusion if 30 teams have 30 different formulas that all conclude that 2+2=4. It is odd that everybody would run the numbers on Liriano on the same day. The Twins on Monday officially signed Marwin Gonzalez. To make room on the 40 man roster, they designated Zack Granite for assignment. Granite, whose last name sounds like he should be from Stearns County, put up some impressive batting averages as he climbed the ladder of the Twins system. He's a good contact hitter, he can run, and he is a good defensive outfielder. But his power is limited, and that lowers his ceiling to that of fourth outfielder. There's not much room on the Twins roster for that. Jake Cave, also a left-handed hitter -- and with power -- moved past Granite on the depth chart last year, when Granite had injury issues and did not produce at Triple A. And unless somebody gets hurt, Cave is probably not going to make the major league roster either, because Gonzalez gives the Twins a fourth outfielder behind (or more accurately alongside) Eddie Rosario, Byron Buxton and Max Kepler. It's also possible that LaMonte Wade, who was added to the 40-man roster during the offseason, is ahead of Granite in the Twins estimation. Wade isn't the center fielder that Granite is, but the Twins don't really need their fourth outfielder to be a true center fielder because they can play Kepler or Rosario there if Buxton is out of the lineup. Wade, I think, figures to be a better hitter than Granite, but not good enough to be a major league regular. He too appears to be a fourth outfielder type. So Granite is redundant on the Twins roster. Maybe somebody will decide he's an upgrade on somebody else on their 40-man roster, but I suspect that a slap hitter coming off a .211 season in Triple A isn't going to get claimed on waivers. Max Kepler was the leadoff man in Sunday's lineup. That may be an indication of things to come, or it may be meaningless. It was, after, the first weekend of exhibition play. But new manager Rocco Baldelli reportedly approached Kepler about Kep's experience as a leadoff hitter. Which is, apparently, minimal; Kepler said he thinks he hit leadoff some in rookie ball. But Baldelli has it in mind to try Kepler at the top slot. Identifying a leadoff hitter on this team is a bit of a project. The hitters Paul Molitor preferred atop the lineup the past four seasons -- Brian Dozier primarily, with doses of Robbie Grossman and Joe Mauer -- are gone. None of those were the slap-and-dash leadoff men of my youth, but they were all selective hitters who would take a walk. The 10-regulars-for-nine-lineup-slots on the 2019 Twins -- I count here Marwin Gonzalez, who has yet to be officially added to the roster -- includes one guy who would have been reckoned a prototype leadoff man in days gone by. That is Byron Buxton, who certainly has hit leadoff a lot more as a pro than Kepler has. But I doubt anybody in the organization is advocating for installing Buck in the leadoff slot immediately. He'll have to earn it, or any other high-leverage lineup slot. Kepler has a career OBP of .313 and a career high of .319 and a career total of 16 steals. The leadoff prototype has shifted over time, but Kepler has never fit any of them. That Baldelli (and presumably the analytical folk in the front office feeding him information) is considering him for that slot surprises me. But it is, again, the first days of exhibition play, and there is no obviously right answer to the question. in 2017 but regressed last season. So it is happening, despite my skepticism in Friday's post. Assuming Marwin Gonzalez passes his physical, he will sign a two-year deal with the Twins. The question I got repeatedly from colleagues at work Friday afternoon was: What position will he play? My answer: All of them. The Twins will use him as the Astros have the past three years. They'll get him more than 500 trips to the plate without making him the regular at any one position. Gonzalez is a nice Plan B for all these guys, just as Eduardo Escobar was in the infield for the past few years. LaVelle Neal suggested Friday afternoon that Gonzalez frees up the Twins to trade a regular. That would be a mistake. The value of Gonzalez' versatility may be obscure, but it is genuine. Trading, let us say, Rosario to make Gonzalez the full-time left fielder actually makes Gonzalez less valuable. There's room to use him even in the unlikely event that nobody goes on the DL or fails. Even if we discount his 2017 as a fluke season, Gonzalez has been a slightly better than league average hitter -- and does that with quality defense at all four infield slots and in an outfield corner. He's going to play, a lot, on his own merits, even if it's not always at the same position. 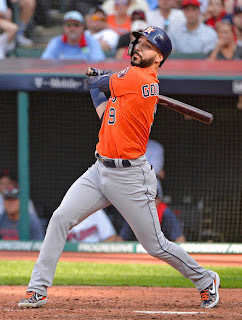 There's been some chatter in recent days connecting the Twins to free-agent multi-position guy Marwin Gonzalez. I don't know what to make of that. a switch-hitter who led the Astros in RBIs two years ago, when they won the World Series. Leading a good lineup in RBIs suggests that he can thrive in the middle of the lineup. His 2017 season -- .303 batting average, 90 RBIs, 24 homers -- overstates his true hitting level. He's not that good a hitter. But he's good enough to deepen a lineup, good enough to look for reasons to play his bat. He's not going to win a Gold Glove anywhere, but he's not an embarrassment afield anywhere either. He's Ben Zobrist with less acclaim, which is kind of funny to say because Zobrist has been underrated and overlooked pretty much his entire career, and for the same reason. These superutility guys are camouflaged. Camouflage works by breaking up the image. You make three dozen starts at one position, two dozen at a couple more, a dozen at a couple more, your image as a player is broken up. I don't know how seriously the Twins and Scott Boras (Gonzalez' agent) are talking. The spring training games are about to get started, Gonzalez is unemployed, and Boras is a master at generating rumors to try to drum up a market. There may be a lot more smoke than fire here. I do like the player. I like him a lot -- certainly more than C.J. Cron, who figures to be Minnesota's first baseman right now, probably more than Jonathan Schoop, who figures to be the second baseman. And Rocco Baldelli, coming as he does out of the Tampa Bay organization, has certainly seen how to juggle a superutility guy. I'd like to see this happen. The Twins made it known during the weekend that henceforth Fernando Romero is a relief pitcher. While this may be disappointing to those who hoped to see him emerge as a top-of-the-rotation starter, it seemed inevitable. Romero, 24, has never shown much durablity, either within games as a starter or over the course of the long season. My expectation is that he will open 2019 in a minor league bullpen -- probably Triple A Rochester, perhaps Double A Pensacola if the Twins want to give him warmer weather to settle into the new role. But he will see the inside of the Target Field bullpen this year. No matter who makes the opening roster in the Twins 'pen, there will be relievers shuttling back and forth between Minneapolis, Rochester and probably Pensacola. 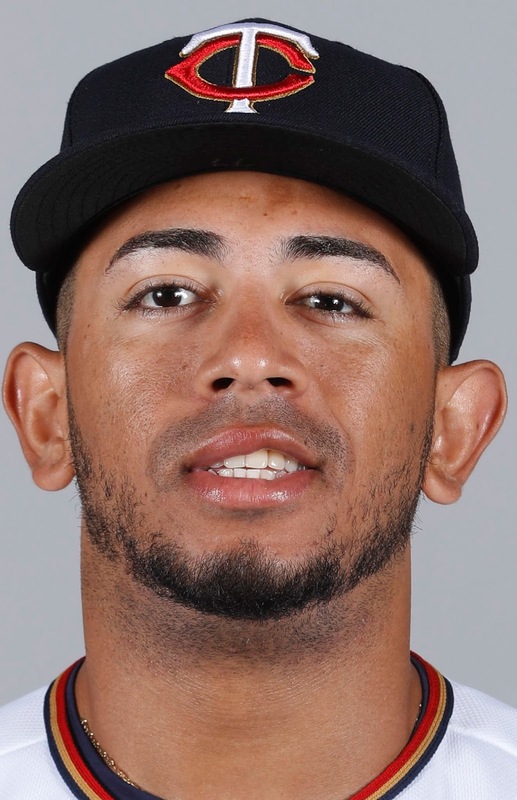 And if things go swimmingly, once Romero turns up in Target Field, he'll power his way into a late-inning role and stick. LaVelle Neal of the Strib suggested on Twitter that Romero might be the closer by season's end. I'm not eager to see that happen -- that would probably mean that Trevor May failed -- but that it's a realistic outcome indicates that even as a reliever, Romero is seen as a crucial piece of the Twins puzzle. In November of 1964, the New York Mets signed legendary lefty Warren Spahn, then 44 years old. A week later, they added legendary catcher Yogi Berra, who was approaching 40. Said Spahn: "I don't know if we'll be the oldest battery in baseball, but we'll be the ugliest." Jose Ramirez and Kolten Wong each received somewhere in the $25M range. Jorge Polanco's deal should exceed that. It will buy out one pre-arbitration year, three arbitration season and cover up to three free agent seasons for the 25-year-old. @JesseSanchezMLB was on the news. Outfielder Max Kepler and the Minnesota Twins are in agreement on a five-year, $35 million deal with a sixth-year option, a league source tells ESPN. The option is for $10 million and includes a $1 million buyout. What strikes me about these reported lengths of contract is that the Twins are not just getting their arbitration seasons but eating free-agency seasons as well. That's unusual. The Twins have, with some frequency, bought out arbitration seasons. It has been rare that those deals have delayed free agency. The union, or at least veteran players, has tended to discourage young players from doing that. "Bet on yourself" has been a common saying. Buying out arbitration years is one thing -- arbitration contracts aren't guaranteed -- but giving up years of free agency is another. But both Polanco and Kepler are doing so. With the options, both could be surrendering their first two free agent seasons. And both could be well into their 30s by the time they get to test the market. This is, I think, evidence of the profound change in free agency the past two winters. Kepler (who was a Super Two arbitration-eligible player this winter) and Polanco (still pre-arbitration) are high-floor players in their mid-20s. There's still time for some growth for both, but neither is likely to turn into a perennial All-Star or an MVP candidate. These deals may limit the high-end of their future earnings, but they emphatically raise the floor of what they would get in their 20s. And the direction of the free agent market hasn't been kind to free agents turning 30. Kepler and Polanco are getting what they can now. Less than a week before pitchers and catchers report, dozens of free agents remain on the market, and the Twins are still filling out their spring training list. The #MNTwins have released their full list of 20 NRIs to Spring Training. Let's start with Lucas Duda and Adam Rosales, two players with resumes if not much else. Rosales is a odd duck: He's never been a regular but he's been able to hang around the majors 11 seasons. To be sure, some of those 11 seasons are only partial, but still -- it is rare for a utility guy such as Rosales to last into his mid 30s. He typically doesn't stick around long (five seasons with Oakland, in two stints with two midseason trades invoved) and isn't much of a hitter. He has played more than a thousand innings each at second, third and short, and even had more than 500 at first. I prefer Ehrie Adrianaza or Ronald Torreyes as the backup middle infielder. Rosales apparently has a March 19 opt-out, so he may suspect that the odds of him making the opening day roster are slim. Duda is a left-handed first baseman. His strong suit, other than a name that lends itself to parodies of "Camptown Races," is power. He occasionally homers but doesn't do much else for you. Other than hitting lefty, he's pretty much the opposite of the retired Joe Mauer, who didn't homer frequently but did everything else well. I don't much care for first basemen in the Duda mold. I assume he too has an opt-out, and I hope he uses it. * Tim Collins is a little lefty reliever who had four seasons of promise in the Kansas City bullpen when the Royals were building up to their two World Series appearances. Then he got hurt and disappeared for three seasons. He LOOGY'd for Washington last year -- 35 appearances, 22.2 innings -- and had the kind of strikeout rate he had in the K.C. days but also gave up too many homers. The Twins have plenty of lefty relief candidates, and I'm not sure that Collins is truly in the mix, but he's still only 29. * Brent Rooker, who I regard as the first baseman in waiting, is an NRI -- and listed as an outfielder. * Chase De Jong, designated for assignment to make room for Martin Perez on the 40, cleared waivers and is an invitee. I'm not high on De Jong, but I'd rather see the Twins pitch him than Perez. * Ryan Eades, a second-round draft pick in 2013 whose minor league record does not make me eager to see him in Target Field, is an invitee as well. Some more Twins minor league signings: Jordany Valdespin, Wilin Rosario, Pat Dean, Adam Atkins and Kevin Comer. A few names there I recognize, but none I hope to see at Target Field this summer. All look like -- and should be -- organizational depth, although I have some fears about Rosario. Pat Dean is starting his second stint in the organization. The lefty reached the majors in 2016 without noticeable success -- 16 games, nine starts with the Twins and an ugly 6.28 ERA -- and spent the past two seasons pitching in Korea. His team won the Korean title in 2017 and he got paid more than $1.8 million for the two seasons, so good for him. Jordany Valdespin has also been out of organized ball for two seasons. He had major league time in the four previous years but saw his playing time shrink with each season, He had a notable run-in with then-Mets manager Terry Collins, a notorious HBP in the crotch from Justin Verlander and a 50-game suspension in the Biogenesis PED scandal. He played, and quite well, for the Long Island Ducks in the independent Atlantic League in 2018 and was named Independent League player of the year by Baseball America. Kevin Comer is a right-handed reliever who has yet to see any MLB time. Most of his minor league service has been in the Houston organization, but he was with Detroit's Triple A team last year. He's shown pretty good strike-out rates but still gives up lots of hits and runs. Adam Atkins, another righty reliever, is a bit young for a minor league free agent. This will be his first time out of the Mets chain, and he has just two games above A ball. His stat line looks a lot more usable than Comer's, but the lack of upper-level experience works against him. Finally, the guy who's probably the biggest name of these five: Wilin Rosario. He's a catcher who had a pair of 20-plus homer seasons with the Rockies -- 28 bombs in 2012, 21 in 2013. He is not, however, regarded as a good defensive catcher, and he's had some astoundingly bad walk-to-strikeout rates (15 walks and 109 strikeouts in 2013). Like Valdespin and Dean. he's been out of organized ball the past two seasons; in his case, one year in Korea, one in Japan. The Twins have been collecting this kind of hitter during the offseason -- Jonathan Schoop, C.J. Cron, now Rosario. To be sure, Rosario is on a minor-league deal, and the Twins always figured to add at least one minor-league free agent catcher. On the other hand, this front office's previous forays into the catching market have emphasized defense. If having him at Rochester makes it possible to have Willians Astudillo in the majors, that's acceptable. Anything more significant than that is not. Jack Dunn, who operated the old Baltimore Orioles of the International League in the 1910s and 20s, was known as a top-notch judge of talent. Among the stars he discovered, signed and later peddled to major league teams were Babe Ruth and Lefty Grove. In 1921, Clark Griffith, owner of the Washington Senators, heard that Dunn was about to buy a young outfielder out of the lower level Sally League. Giffith had never heard of Goose Goslin, but if Dunn wanted Goslin enough to pay the rumored $5,000 for him, the Old Fox reasoned, Goslin must be good. And indeed, Goslin was hitting .390 for the Columbia team. So Griffith hustled down to South Carolina and struck his own deal for Goslin, upping the ante to $6,000 and landing the player, still sight unseen. Griffith pocketed the paperwork, climbed into the stands chortling to himself over his sharp manoeuvre -- and promptly witnessed his newly signed slugger get conked on the head by a fly ball.